I am a British citizen and my partner is Chinese. We plan on getting married in the UK in April 2018. However, my partner's marriage visitor visa has been denied with the letter included in this post. We have every intention for my partner to return to China after we are married in order to apply for the spouse visa due to him not being allowed to apply while in the UK. 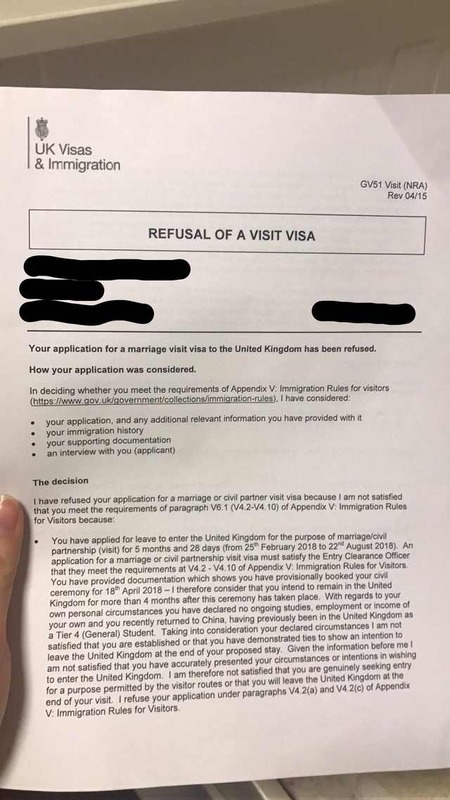 Is it wise to try to reapply for the marriage visitor visa after being refused if we try to provide evidence to prove the points they have made in the refusal letter? If so, what is the best proof we can provide for these points? Or, is there a better way of going about this. Is there another way of us getting married and then being together? Any help is greatly appreciated, we have tried our best to understand and explore all options but we are no experts. Thank you in advance. Part of the marriage visitor visa requirement is that you are not planning to settle or stay in the UK. This is why they ask for proof of your future plans for the relationship, for example documents to show where you’ll live. If your plan was for you to get married in the UK, and then you both move to China, this would be appropriate. 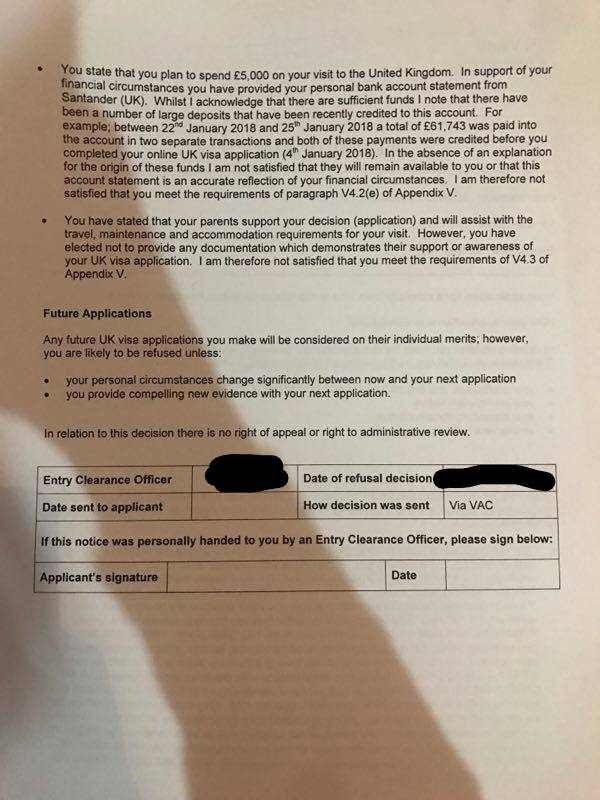 Since you admit your plans are that you both stay in the UK long term, there were problems with this application from the start. They got you on several fairly big items - first, the long stay after the marriage that makes it clear he has no reason to go back to China, as normally people would have commitments at home (work, family, etc) to attend to. You could cut this down on next application, but alone it wouldn't help. Secondly, the fact that he hasn't declared any employment, income or ongoing studies in China. This one is almost impossible to solve in a short time-frame. He has very little reason to want to live in China and a very strong reason to want to live in the UK. Thirdly, despite having apparently no employment or income declared, a large amount of money was deposited early this year. The term for this on this website is funds parking. If you could explain this, it might help, but I suspect not enough to overcome the main problem, which his lack of ties to China. I am not any sort of expert myself, but I would not suggest you re-apply for this visa category. I cannot see any way that ends up with anything but further refusals. An alternative route would be to apply for a fiancee visa, under which he could come to the UK with the intent to get married (within six months). Unlike the marriage visitor visa, you can switch onto a spouse visa under this category. Further discussions on this type of visa belong on our sister site, Expatriates, but I would strongly recommend that you employ a professional to assist you rather than risk racking up further refusals. Not the answer you're looking for? Browse other questions tagged visas uk visa-refusals weddings or ask your own question.